Enjoy the ocean view, we will look after the rest! To make your holiday rhyme with relaxation, we offer numerous services to optimise your pleasure during your stay. 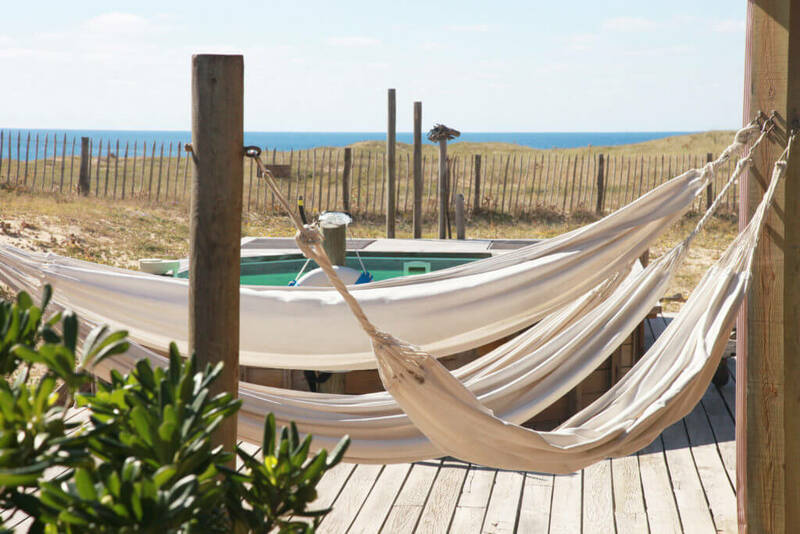 5 star advantages in our villa classified by the Landes Departmental Tourism Committee! No problems, we look after everything! Lighten your load: bedding and bath towels provided. And also soap, shampoo and bio toilet paper. You are at home: charcoal, fire-lighters, wood, condiments, sugar, tea, paper towels, tea towel and cleaning products are provided. Relax: during your stay you can rely on welcome and assistance from our hostess, express technical assistance and Netflix cinema on all TVs. For a stay without worries, rich in experiences! Simplify your life: If you want to come by plane or train, we will look after the transfers. Before arrival, order your groceries, they will be waiting when you arrive! And, on-site, make use of a Catering service. Dare to discover: Rent bicycles, off-road bikes, beach bikes, fat bikes, electric bikes, surfing equipment, surfing and padling classes delivered when you arrive. And Vinayasa yoga classes at home with Paola. Relax: Massages and well-being treatments at home… And also beautician, hairdresser, manicurist… Baby-sitting reservation 24 hours a day so you can enjoy activities and outings in complete peace! Inspired by the luxury lodges of Africa, the Naturéo villa is located in the heart of nature a few steps from the ocean. This closeness to the elements adds to your well-being. Together, let’s return to nature that which it gives to us with a few simple actions. On our side: In order to perfectly integrate into its natural environment, the villa has been constructed mainly of ecological components. We have preferred Landes pine, a local wood and a recyclable material with excellent thermal insulation. Work has been performed to reduce our environmental impact: heat pump heating, condensing boiler, super thermal insulation, solar panel for water and electricity, wood-burning insert fireplace, wood granule stove, recycling, bio maintenance products, bamboo fibre sheets, bio shower gel. On your side: to avoid damaging the dune, its fauna and flora, please access the beach by the footpaths located a few steps from the villa. The ONF signs explain why it is forbidden to walk on the dune. In the villa, we count on you using the air conditioning in moderation. 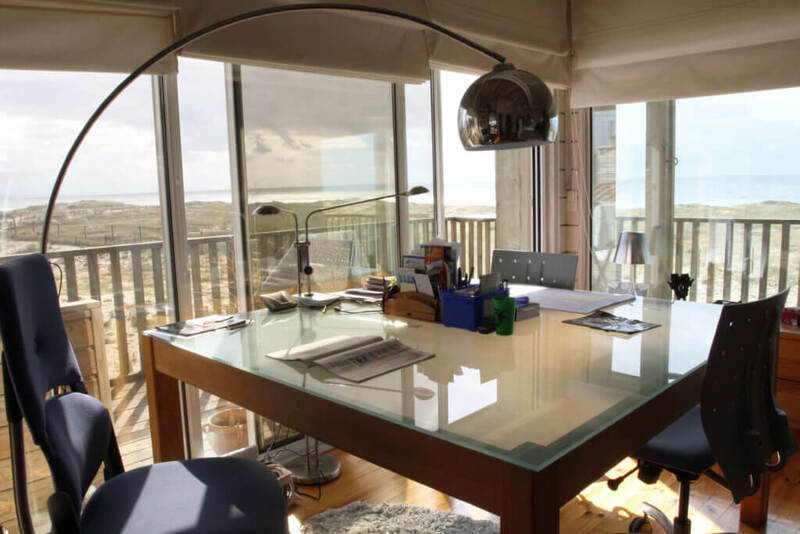 Think about enjoying natural ventilation, rich in sea air!